I’ve been watching the debate over the Oxford Companion to Beer from a distance. It seems that the largest single document of beer history and general information is wrought with errors. Some are historical inaccuracies while others are simply internal errors that should have been avoided. The book was heralded as major achievement in beer scholarship before it was released. Now, it’s being ridiculed all over the beer blogosphere. There are a few places one can look for clarification, if you’re interested. Stan at Appellation Beer has started some interesting conversations on the topic, as usual. The resulting comments to Stan’s posts are always insightful. He has a knack of attracting such discourse. A new favorite of mine is Martyn Cornell’s Zythophile where some of the controversy has originated. 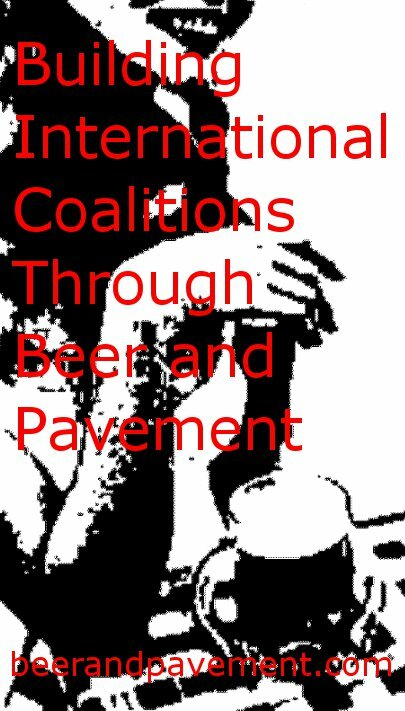 (FWIW, Zythophile is an impressive blog documenting beer’s history in great detail by Cornell, a well-respected and accomplished beer historian/expert.) However, the place to go for OCB controversy headquarters is this wiki. That’s where you’ll find every mistake as it’s revealed in addition to a rebuttal from author/editor Garrett Oliver and links to most of the important criticisms. Regardless, it’s a hot topic throughout the beer community. (That’s right, I wrote “community.”) I’ve attempted to question the critiques and have been largely shot down as my enjoyment of beer is not nearly as dependant on beer’s history as it is for others. That’s fine. Beer history isn’t for everyone. Still, my main point is to not throw out the baby with the bath water. The OCB is an achievement with or without historical and editorial errors. Apparently, the technical articles (~400 pages worth) are impressive enough to warrant a read. Others disagree. I’m not nearly as passionate about the history of beer as some seem to be. So, I had to think of something where the history does matter to me. To some degree, that would be indie rock. How would I feel if the Oxford Companion to Indie Rock was filled with historical inaccuracy and lazy editorial work? Luckily, Michael Azerrad already took a stab at this with his seminal work Our Band Could Be Your Life. Granted, Azerrad only covered the independent years of thirteen bands, but they were probably the most important bands to indie’s history. As far as I can tell, his book contains no significant errors. I’ve read a ton about all of these bands (some of them whole books of their own) and I never noticed a problem. I guess that’s what the beer historian community wants as well. I get that. Another book I’d add to the OCIR would be John Sellers’ excellent Perfect from Now On: How Indie Rock Saved My Life. This book’s detailed history of indie rock is told only from the perspective of the author. However, it covers a wider range of bands and sets a timeline for indie’s trajectory, culminating with some fantastic stories about Guided By Voices. Sure, it’s a memoir, but it’s an essential read for understanding indie rock. Garrett Oliver of Brooklyn Brewery fame as well as the author of several great beer books of his own was the editor for OCB. The indie rock equivalent has to be Sonic Youth’s Thurston Moore. Moore has not only lived most of indie rock’s history, he’s curated it in one way or another, hence the six degrees of Thurston Moore. Accuracy would be assured with Moore at the helm. When I consider the above books and Moore, I cannot fathom errors such as the ones people are finding in the OCB. If an OCIR revealed as many errors that I could identify, I’d be highly disappointed. I don’t know that I’d be angry, but I could imagine Chuck Klosterman being upset for being left out and not able to help fix rather avoidable problems. So, this helps me see the critics side of things. 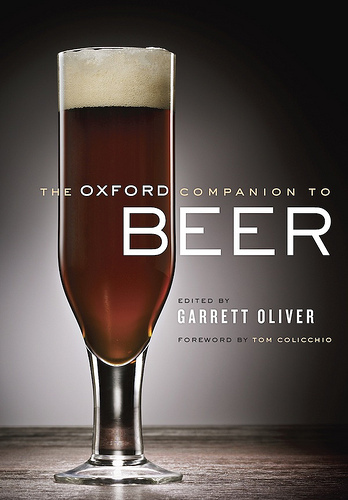 All that said, I will wait for the second edition of the Oxford Companion to Beer as long as Oliver and his contributors take each criticism and error seriously. You all should probably do the same as it’s an expensive book. Otherwise, little will change, leaving us with a frustratingly flawed book. In the meantime, I’ll stay out of the debate (aside from this one post) and consider some other books in the meantime. Retromania anyone? Zac – But what if an Indie Companion were to attempt to include all of music history (and didn’t have the sometimes controversial Music Companion to draw on)? In fact, there’s at least one book in the works that will focus on the history of “craft beer” (however that might be defined, but let’s just stay the stuff starting with Anchor). This would seem to be easier, giving how recently it occurred. But the author has already talked to one brewer who told him about taking inspiration from a particular brewery text, providing a date six years prior to the text being published. I feel for any author trying to write about a topic people get so passionate (and know it all) about. Good point. I look forward to that craft beer book. That sounds like more my speed. Aw, man. I was looking forward to reading this, but as a history lover, those errors are going to bug the hell out of me. (a) The large number of errors in the book are not confined to historical mistakes, there are a bunch of other factual mistakes relating to chemistry and other aspects. (b) No matter what form the errors take, they serve to undermine the WHOLE book. Shame it wasn’t done properly. And this is why I’ll probably just wait for the second or third edition.